Mark726 adds another entry to his EvE Travel journal! Thanks to the Ancient Gaming Noob for this great write-up! Katia Sae, a pilot flying with Signal Cartel and famed explorer in New Eden, has visited every single player-reachable system in New Eden and Anoikis, 7805 systems in total, without losing a single ship. Katia’s journey began on 1st December 2009 and was completed on 9th March 2019, a period of a little over nine years. Beginning on 1st November 2018, the pilots of Signal Cartel worked together to help Katia locate the final 600 systems of Anoikis needed to complete this unbelievable quest. Please join Signal Cartel, the EvE-Scout Enclave, and all of New Eden in celebrating with Katia this phenomenal achievement! More info available on Katia’s blog. Hey @Katia_Sae – this is incredible work, but it's not quite finished. The rescue from J1REDACTED was anything but routine. The call came in on 26 November, and was picked up by 911 Operator Shaya Cholmondeley. 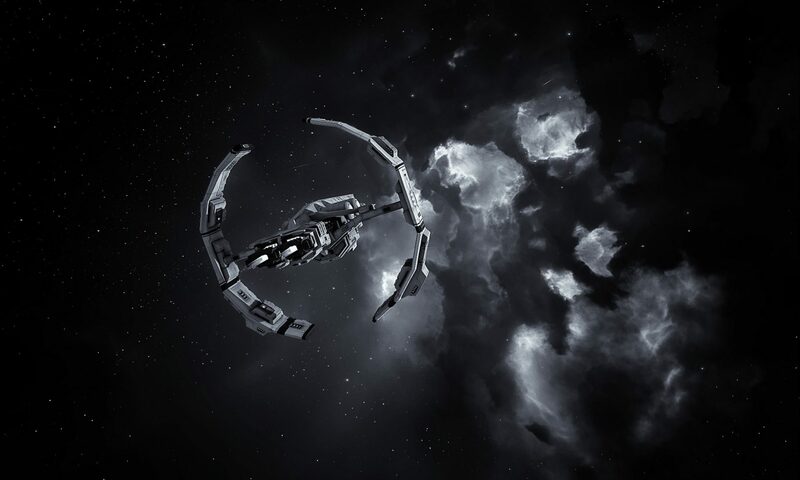 A Naglfar was adrift in an active C6, and hostiles had already killed his scanning frigate. Shaya tried to guide the Nag pilot to the rescue cache in the system, but the hapless pilot was forced to log out before he was able to locate the cache. Shaya opened a SAR request, kicking it to the Search and Rescue Coordinator Team. A day later, a different system with a lost capital (J2REDACTED) was located. Emre D Lafisques (no relation to yours truly) and Igaze were scanning the surrounding systems when Emre found himself in J1REDACTED – our Naglfar was located! As an aside, when we thought we located his system, our excited Nag pilot logged in, and was rapidly scanned down. He cloaked up, but came within 2.4 km of a Tungu that was hunting him, but was eventually able to log out safely. So, with two capital rescues in action, Captain Crinkle and I jumped online to race to the newly located system. By the time we got to the connecting system, the original connection was rolled, and when Emre went to scout the new connection he was rolled out. We reopened the request, and stood down, adrenaline still racing. A few days later on 2 December, Pod Person entered J1REDACTED and our lost Nag was found again! We asked him to hold tight while we got backup to the system. In real life, I was finishing up orchestra practice for an upcoming Christmas program, and sped home when it was over. Chaim Achasse and Captain Crinkle were already in the chain, and I got online about 45 minutes after the call came in. We all made it there to find a mass-critical, bubbled hole, but we slipped through, hopefully unnoticed by the locals. Captain Crinkle roused DaydreamBeliever from a relaxing evening, and she slipped in as well. Then, the waiting game began. The locals exhibited excellent hole control, and as soon as wormholes popped, they pushed new ones to mass critical with a rolling Phoenix, then frequently bubbled the hole and their structures. We caught a good break when a roaming frigate-sized hole to a C2 opened up, and Chaim and I brought in alts. By this time, we had decided that we were just going to have to deal with a mass-critical hole, so our plan was to send scouts through, then send the capital through the hole, which would collapse it behind us. We needed enough pilots in the system that we could send a good-sized scouting party through without worrying about leaving our Nag behind with no scout if something went wrong. The locals seemed to be from a German corp, but still seemed to have players online most hours of the day. We saw them spool up fleets of 10+ Nestors with Damnation support one day, and their Phoenix was always out rolling holes. A roaming connection to a C2 opened up which looked promising, but it was rolled shut before we were able to use it. Finally, I logged in on 5 December at about 0400 Eve to an empty system. The new C5 static had just spawned, and Chaim was already online, scouting the C5. It seemed like a good option: it had a very large static connection to nullsec, which happened to be to a quiet system that day. I checked and rechecked the numerous Astrahuses and the Fortizer, and they remained empty. We made the call – it was time to move. We had a list of about 6 alts, so I started opening up private convos, and found one of our client’s alts online. We explained the situation, rechecked the structures and dscanned the entire system, and the Nag pilot logged in. After that it was a breeze. We rechecked each wormhole and warped through, and slipped out without incident. When we hit kspace I locked him up quickly for a firework, but he was anxious to move so we didn’t stick around. The story didn’t quite end there. I logged into my second pilot back in J1REDACTED, and headed out of the system. Right as I entered the C5, the rolling Phoenix followed me, and I watched him roll the hole from dscan distance. Finally, the wormhole blinked out, and the Phoenix was stuck in the C5 with me. I think moving our capital through the wormhole must have messed up the math for his rolling calculations, and the Phoenix rolled himself out. Oops. I didn’t stick around – I wanted our other pilots still in J1REDACTED to be able to find a safe exit, so I stayed quiet and headed to Thera. All in a day’s work for a Signal Cartel pilot. Rescue from J153449: Double Your Fun! Check one more and then to bed! I was in J113950 and was doing a last quick check for SAR systems in the wormholes I had scanned down. There was one left, a C5, and the moment I went through I saw the mark in my display saying I’d landed in a SAR system, J153449 to be exact, and the pilot reported it was a capital ship. The hour was late and if I’d had any easy routes to k-space I might have emailed the pilot saying we’d found their system and I’d be back in the morning but I had no routes to k-space other than some unexplored null holes a few jumps away. I put the word out and started scanning to see what I could find to bring in backup. I found a route through to a C2 and figured that was a good bet as all my other paths went through c4-6’s and had few k-space possibilities and then mostly null sec. A C2 had a much better bet of a high or low sec connection. However J122638, while a c2, had only a NS static and C5 static (and I had come through that). I had seen a couple Astero’s headed through the way I came but they were no particular threat so I scanned on. I found my way to J131852 which had a nice HS static to Bawilan. Score! The word went out and Chaim Achasse was 12 jumps out and burned hard to get there while I retraced my path back to the SAR. Much to my surprise when I arrived at the hole in J122638 I found Devoter sitting on top of it. I quickly checked the info and sure enough it was mass critical. Still cloaked I warped to the hole and pounded the jump button, slipping past the roller and back. I warped to a safe then back to the hole to check on it and it was gone. I was alone in the system again with no routes for backup. I was also exhausted so I decided to call it a night. I had been in convo with the pilot so they knew I was there and we were working a route but that it might be a day or two so I headed for bed. He also added he had not one, but two capitals to extract. Six hour of restless sleep dreaming of wormholes and scanning and I was back up hunting a route. My entrance was still stable so I backtracked through there and started scanning, ultimately finding a route through Etherium Reach. I headed back as I need to log off and get to work but while I was off Captain Crinkle made it in followed by Chaim and Scarsan Stripes. Backup was here and I could relax a bit. Throughout the next day we scanned down routes to take. With two capitals this could be interesting. We found some routes but our pilot wasn’t available and some of the systems were pretty active. Plus all the routes were at least two to three jumps to get to k-space. On the upside our locals appeared to be quiet. Our likely exit was the system’s only static, a C6. That night it got rolled and opened up into a Hard Knocks farm system. More fun! I managed to get in touch with our pilot and determined the times he could be available. It was either going to be very late or very early for most of our crew although Captain Crinkle was well positioned time zone wise. The next night Chaim, Scars, and I sat outside the static C6 waiting for it to collapse… which it decided to do over an hour late, so while we waited we watched @Johnny-Splunk ‘s stream as he bid farewell to the Raptor. Once it went it down we quickly scanned routes and found a few exits only a couple jumps out. Things were looking good. No response from our guy and I was running out of steam. Two long nights and some illness had taken their toll. I crashed and left things to the rest of the crew. The lost pilot made contact with the rescue team slightly before downtime. Chaim messaged to advise that he and Captain Crinkle be in contact after down time to effect the rescue. 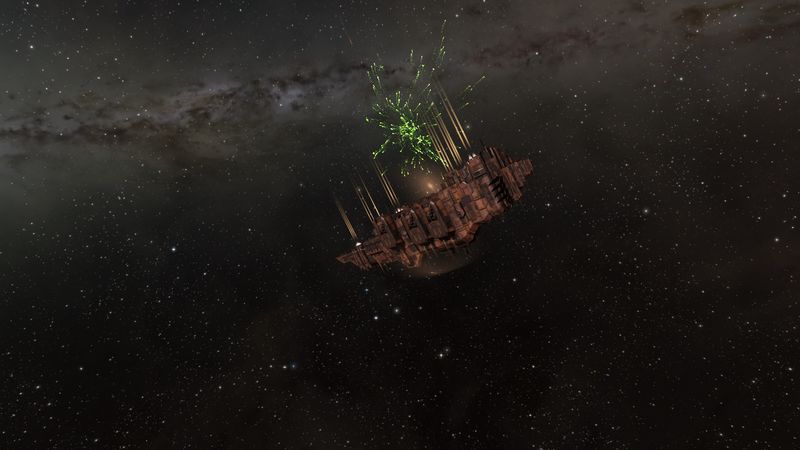 Once the server came back up, Chaim logged in, followed shortly after by Captain Crinkle and formed a fleet. After scanning the route, the lost pilot was contacted, and told that we were ready. Once the pilot logged in, Chaim invited both of his pilots to the fleet and warped to them to drop off the exit route bookmarks incase of any issues with hole stability. With two capitals (a Naglfar and an Apostle) we were crossing our fingers we wouldn’t collapse any holes on the way. Captain Crinkle proceeded to scout the next system, and on the “all clear” Chaim fleet-warped himself and the lost pilots to the system exit. Chaim held position while the pilot jumped through to ensure hole stability for the two capital ships. Once the pilots were through Chaim followed after and Captain Crinkle moved to scout the next system. Again on Captain Crinkle’s “all clear” Chaim fleet-warped the pilots to the next exit and held position while the capital ships went through, following after. This process was followed for one more system, where the pilot was told to warp to Captain Crinkle upon splashing through as he was sitting on the Low Sec exit hole. Captain Crinkle scouted the Low Sec system and it was anything but quiet! A titan had been lost there just a week before, which was making Crinkle very nervous about the whole endeavour. But we told our pilot this beforehand, and they agreed to take the risk. As Chaim described, the route until lowsec was as quiet as could be hoped. That all changed when we warped in, with 15 in Local and a dreadnought on dscan. Luckily Crinkle was able to pinpoint it’s position using narrow cone scanning before the rescuee ships arrived, and found a potential NPC station with a clear undock. Well done to all involved! Captain Crinkle , Scarsan Stripes , Chaim Achasse , and, while he didn’t see any action, Angel Lafisques was there as further backup. We have rescued a few capitals over the last year and half but I believe the is the first double cap!